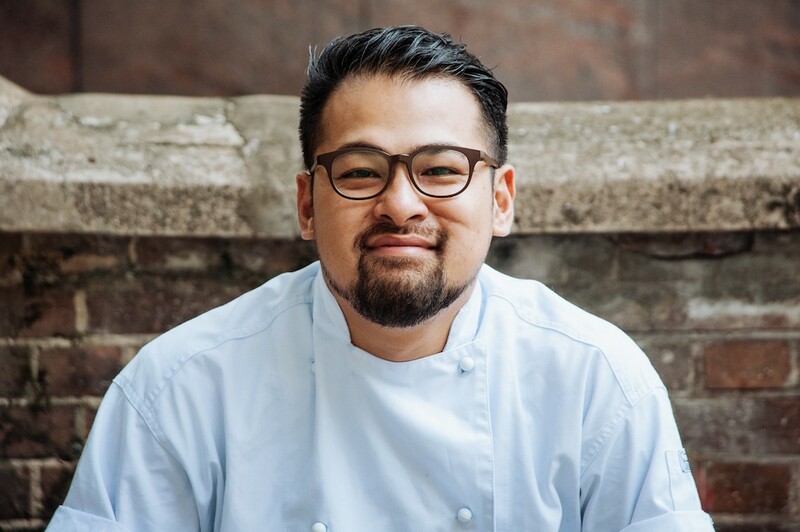 Jowett Yu is the man behind Hong Kong’s bustling Ho Lee Fook, where he serves irreverently brash takes on traditional Cantonese dishes. After developing a mutual admiration with Jason Atherton, the Taiwan-born, Vancouver-bred and Sydney-trained chef signed on to bring his funky signatures to Shanghai at The The Shanghai EDITION’s Canton Disco. We met up with him to discuss his culinary inspirations, Cantonese barbecue and the one Shanghai dish that shouldn’t be adapted. Who are your culinary inspirations? There’s David Chang (of Momofuku fame). There’s also Michel Bras because Essential Cuisine is still one of the most influential books of all time. Then I have to say Tetsuya Wakuda because of his amazing palate. How did you meet David Chang? He was promoting his first book in Sydney, and we asked him if he wanted to do a book launch at this restaurant called Lotus (which no longer exists). We made all the dishes from the cookbook. That got the ball rolling for the opening of Ms. G’s, and subsequently, Mr. Wong. That’s how I started cooking Asian food. Before that, I was making European food, which I wasn’t super passionate about. How’s your restaurant in Shanghai doing? [Some people] like it a lot. We have a lot of repeat guests that come several times a month. That’s great because we want to be part of the neighborhood, not just a special occasion place. So there are some people who don’t like it? Do you know why? I’m not sure, but the restaurant is dark, the music is loud, and the food is not ‘classic.’ We don’t tick any of the traditional boxes, which throws [some] people off. This is not a restaurant for everybody, but if you come here with an appetite and an open mind, you can have a lot of fun. Are there any Shanghainese dishes that you are hesitant to reinvent? Xiaolongbao. I don’t think anyone can make it better. Sometimes you need to know when to stop. What dishes were created specifically for Canton Disco? We have a huge live seafood menu with tanks in the back, which we don’t have at Ho Lee Fook. There’s also some local Chinese dishes that I love, like drunken pigeon. Another popular dish is Chef Michael Janczewski’s beef carpaccio with smoked beef fat dressing. Even things that are on both menus have been adapted. For example, the Shanghai version of the Wagyu short rib uses Hunan green chilies instead of jalapenos. The suckling pig is Jason Atherton’s favorite dish at Canton Disco. Can you tell us about the preparation process? It is very labor-intensive. You need to debone the pig and put it on a frame. The whole pig is threaded through the correct joints and secured to the bracket. Then it’s blanched, glazed, air-dried and roasted for 40 minutes while somebody hand-turns it. You have to get the right amount of heat on every single part of the pig. From beginning to end, it takes two to three days. Is it true that you did some spying in Sydney to develop that recipe? Yes, I had no idea how to make something like that, so I had to stand in front of the meat shop and observe what they were doing. I managed to get the owner to let me hang around there for a day, but after a few hours he told me that I’d seen enough and had to go. After that, it took me about a year to develop all the roast meats. It’s definitely easier when someone teaches you, but I suppose when you learn by yourself, it’s more satisfying. See the listing for Canton Disco here. The chef/restaurateur discusses launching new restaurants and the changing Shanghai culinary landscape. The creator of the popular Instagram account @SymmetryBreakfast discusses his new book and his favorite Shanghai food haunts. This recipe from Mi Xiang Yuan chef Anthony Zhao uses flavorful big headed shrimp while nixing sugar and bad fats for a twist on a Shanghai classic. We spoke to the CEO of JUST about the new vegan egg. We spoke to the chef about his move from Hyatt on the Bund to Andaz Xintandi Shanghai. The 360-page 'Fine Cantonese Food by The Michelin Guide 2018-2019: Asia, Europe and USA' can be preordered on Amazon for USD24.95. Mark November 17 in your diaries for the most charitable moveable feast of the year. This dynamic duo of Shanghai nightlife veterans tells us what's 'UP' with their new Jing'an project.